About 100 hospital workers are striking in hopes of forming a union and gaining support from workers, residents and politicians. 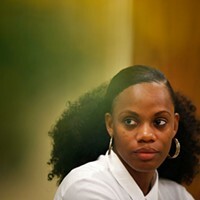 The breaking point for Arlynna Evans was when she lost her twins. The 28-year-old housekeeper at UPMC Mercy in Uptown miscarried two years ago. As devastating as that is for a mother, she says her employer, hospital giant UPMC, only made things worse. She says it took six months after her miscarriage for her supervisors to approve her paid-time off. She wanted time so she could cope with the aftermath of her loss. Evans’ months-long battle with management caused her such frustration, she enthusiastically joined the fight with other UPMC workers to form a union. Now, in the shadow of a National Labor Relations Board (NLRB) decision condemning UPMC, Evans and other workers are planning to participate in a one-day strike. Service Employees International Union Healthcare, who is helping organization the strike, estimates close to 100 workers from Pittsburgh UPMC facilities have currently signed on to strike. On October 4, Evans, research specialist Ellie Lalonde, cafeteria worker Ashley Smith, and others will strike in hopes of gathering support for their goal of obtaining a union. Unionization efforts by UPMC workers have been ongoing for several years. Evans says she and other workers chose to strike in October in response to recent labor-related developments at UPMC. In August, the NLRB found UPMC illegally banned workers from discussing unionization, prohibited them from distributing information on unions, and threatened workers who were trying to form a union with poor performance reviews. 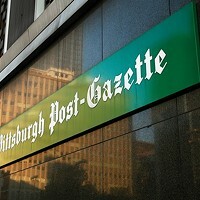 UPMC officials did not return a request for comment for this story. Pittsburgh-based labor attorney and Century Foundation fellow Moshe Marvit says the NLRB ruling is remarkable in that UPMC had so many different violations rolled into one, and that the decision was handed down by a conservative, Trump-appointed board. Earlier this month, UPMC spokesperson Paul Wood told Becker's Hospital Review the NLRB decision "deals with disputes from five to six years ago" and that, "in large part," those polices have changed. But Evans says it goes beyond UPMC’s labor violations. With the announcement of UPMC’s $2 billion expansion plan, she feels the health-care giant could easily afford to pay workers more and to let them form a union. Evans says UPMC’s worker policies are keeping her wages low and says that new hires actually make more than she does. “I make less than everyone else on my shift,” says Evans. Cafeteria worker Smith makes $13.80 and has been working at UPMC Presbyterian for 18 months. With student debt she accrued from attending the Art Institute of Pittsburgh, Smith says she has trouble making ends meet at times. She believes UPMC workers are entitled to a raise. UPMC officials have said they plan to raise their minimum wage to $15 an hour by 2021. But beyond desires for higher pay, Smith just wants her and her coworkers to have a better work environment. She says her supervisors often follow her around to monitor her, even for relatively menial tasks like wiping off tables. 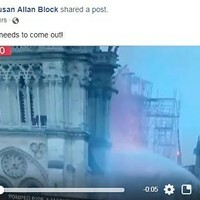 This motivated research specialist Lalonde to strike. 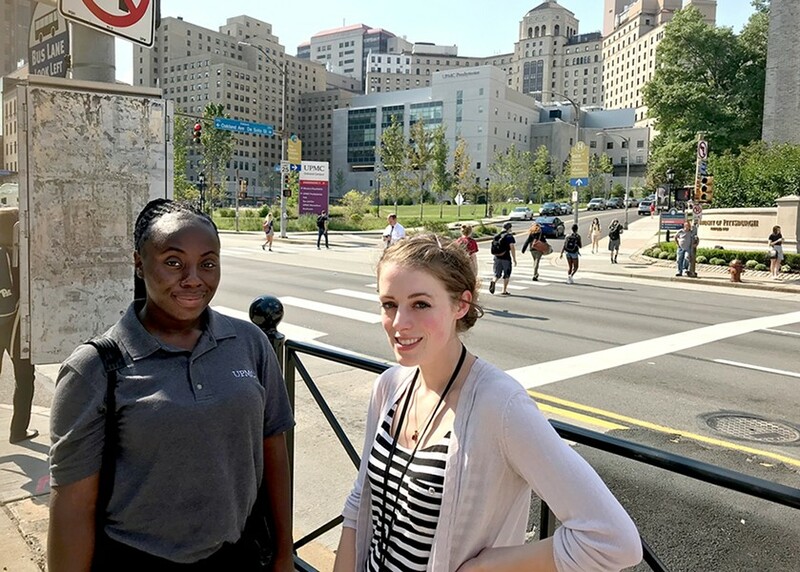 As research specialist, her working conditions and pay are better than other service workers at UPMC, but she believes everyone at the hospital should see improvements. “It is necessary for us to come forth in solidarity,” says Lalonde. Evans says she and SEIU Healthcare organizers are recruiting other UPMC workers to join the strike. Marvit says one-day strikes, though less powerful than wide-scale strikes, can be particularly effective in the service industry. 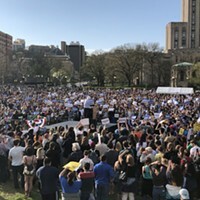 The last time workers at UPMC participated in a one-day strike, in 2016, management announced shortly after they would be raising employee wages. Marvit says the strike’s effectiveness will depend on how much support it gathers not just from other workers, but from Pittsburgh residents and elected officials. Many Pittsburgh leaders took heat from those supporting UPMC workers when Pittsburgh City Council approved UPMC’s plans to expand Mercy Hospital with a new vision center. Hospital workers, activists, and community members felt the community benefits agreement between the city and UPMC fell short of providing enough to Pittsburgh residents. Activists also felt the agreement should have included language to support workers’ right to unionize. Evans believes UPMC workers have failed to garner much support from regional leaders because UPMC wields a lot of influence. UPMC is the Pittsburgh region’s largest private employer. She says elected officials are afraid to voice opposition to the health-care giant. The expansion plan passed 7-2 in July, with councilors Deb Gross and Darlene Harris voting against the plan. 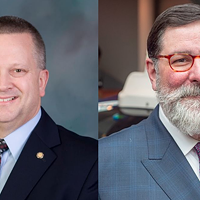 Pittsburgh Mayor Bill Peduto lashed out at critics of the expansion, telling TribLive they were “holding a hospital hostage that is going to cure the blind” and their tactics could endanger UPMC’s contribution to a city fund meant address social-inequities in the city. This fund is meant to replace a lawsuit the city formerly had against large Pittsburgh nonprofits like UPMC. The lawsuit was filed to force large nonprofits, who have tax-exempt status, to pay property taxes. Peduto dropped the lawsuit shortly after he took office in 2014. UPMC posted a $1.3 billion profit in 2017. According to the Pittsburgh Post-Gazette, UPMC President and CEO Jeffrey Romoff's salary was more than $6 million in 2017, and 10 UPMC executives made at least $2 million. UPMC workers hope their one-day strike can attract the kind of support they would need to take on UPMC.